Found 3 file extension associations related to Red Faction II and 3 file formats developed specifically for use with Red Faction II. Red Faction 2 Earth. Twenty-second century. Five years after the rebellion on Mars. For 15 years, Chancellor Victor Sopot has oppressed the people of the Commonwealth. His corrupt rule and a relentless war of unification with the United Republic has left the Commonwealth bloodied and impoverished. As distant battles rage, sewage taints Sopot Citys rivers, pollution smudges the sky, and wretched citizens huddle in crumbling ruins. The Public Information Building, built by the dictator as a tribute to himself, broadcasts lies about Sopots bravery and the Commonwealths military victories. Condemned to death by Chancellor Sopot, six super-soldiers unite to save their country, vowing to overthrow Sopot using the unique powers that nano-technology has given them. Join the squad as Alias, a demolitions expert. Fight side-by-side with Molov, Repta, Shrike, Tangier, and Quill--each possessing unique attributes and specialties. Battle through diverse environments using vehicles, an arsenal of specialized weapons, and explosives in a mission to overthrow the government. Defeat Sopot and restore the honor of the Commonwealth! 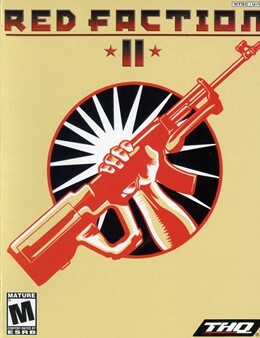 If you need more information please contact the developers of Red Faction II (THQ), or check out their product website.